Two Classic 150 will include mounting bracket, SPD300 DC, 2 DC breakers and Wiring. 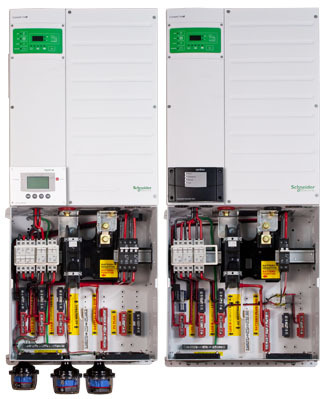 Two Classic 200's and high voltage input breakers will include mounting bracket, SPD300 DC, 2 DC breakers and Wiring. Two Classic 250's and high voltage input breakers will include mounting bracket, SPD300 DC, 2 DC breakers and Wiring.